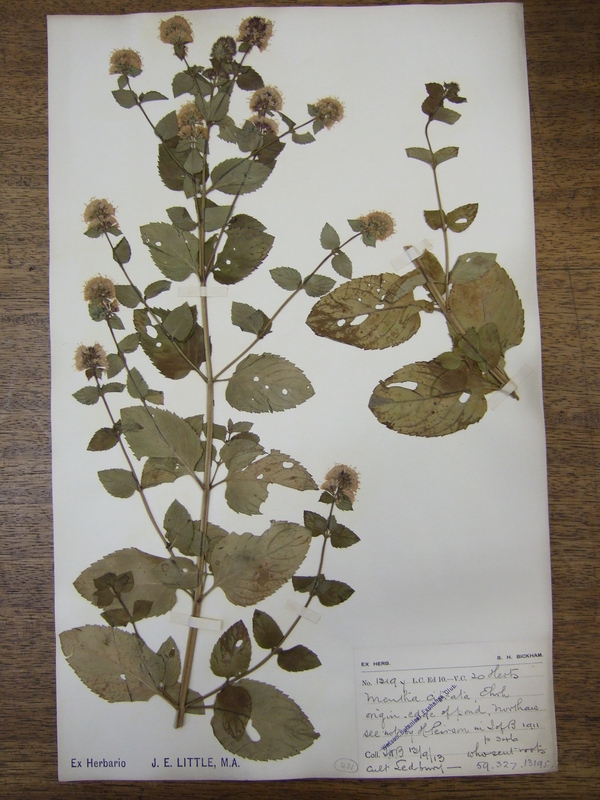 Lamiaceae: Mentha aquatica x spicata = M. x piperita var. citrata (Ehrh.) Briq. Other specimens with similar collection dates, collectors or localities. Documented by alan forrest on 25th June 2007.